Come check out the most durably built remotes available! Compustar’s water-proof and impact resistant remotes are perfect for adventure seekers and outdoor enthusiasts! Hawkeye Auto Accessories’ trained technicians specialize in providing quality auto accessories to individuals and car dealerships throughout Iowa City, Iowa. We use the most reliable, highest rated remote start systems in the industry, making it easy for you to start your car, secure your belongings and enjoy the perks of keyless entry and vehicle tracking. 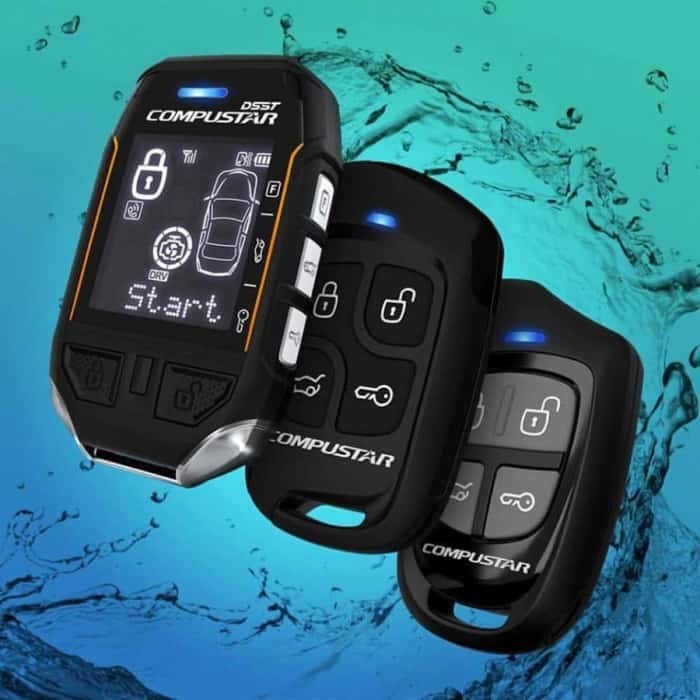 As a proud supporter of the #1 remote start brand in the industry, we’ve teamed up with Compustar to provide the best remote start systems on the market. We are one of a select few Compustar PRO series dealers with a full line of remote car starter solutions to fit every need. Whether you drive a European luxury vehicle, a ‘smart-key’ vehicle with push-button ignition, a diesel car or truck, a hybrid vehicle, or a manual transmission vehicle, Hawkeye Auto Accessories has a remote car starter solution that’s ideal for you. “Although I am from CR, was ok with the drive. Andy is a great guy and went above and beyond while installing my remote start. Even clean up some wiring and tied my light bar/accessories into the additional functions of my remote! Wouldn’t hesitate to return again or recommend to anyone!” — Trace M.
Do you want virtually unlimited range and no remote to carry? Ask us about DroneMobile! DroneMobile has teamed up with Verizon and AT&T to provide the most dependable networks to connect your Compustar remote starter to your smartphone. Call or stop by today and let us help you find the perfect remote start system that fits your needs.